This group activity includes calling the roll, grace and courtesy lessons, stories, songs, games, or lessons on new activities in the classroom. Children help set the tables for lunch, feed any classroom animals if there are any, water the plants and perform other chores. 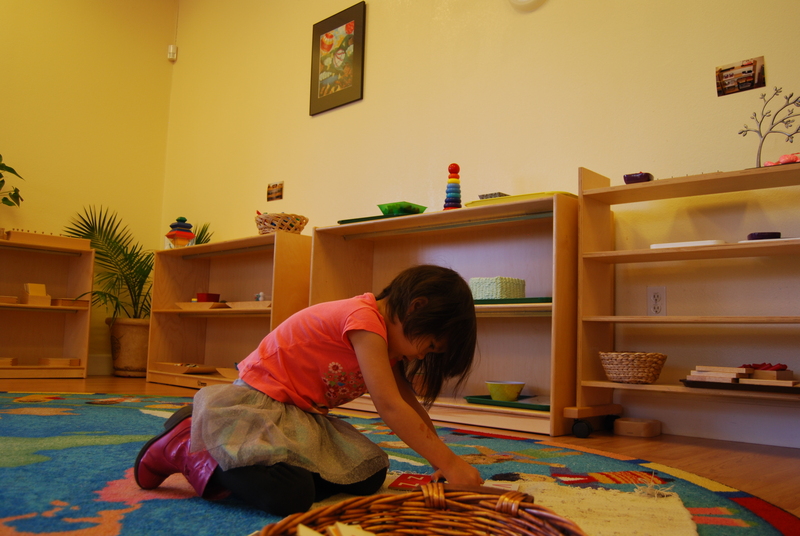 Children spend this time working on individual activities at a table or on a rug on the floor. Snack is available from 10:00 AM. Montessori material is available in every shelf for every child. Many activities require a lesson from the teacher before a child can use them. Others, such as puzzles, can be used without a lesson. A child who chooses an activity that is too difficult for him is offered something that better matches his ability. 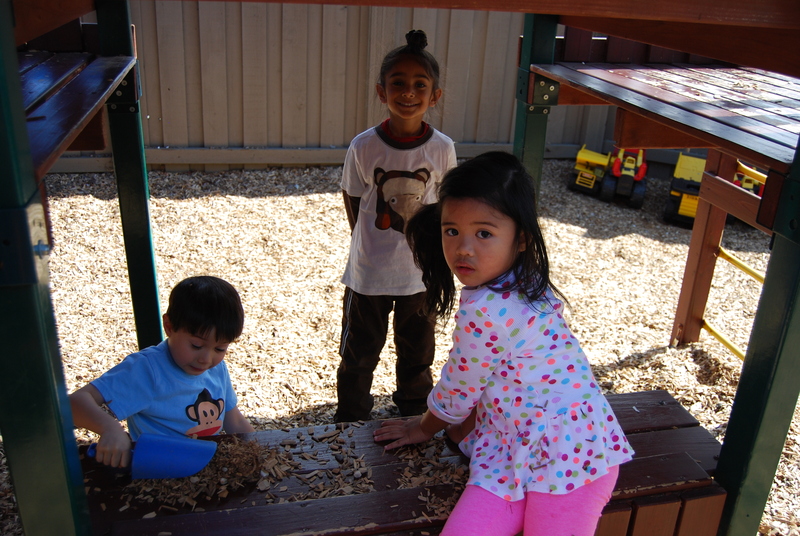 Discovery area, games, and gardening are example of activities available on the playground. The children wash their hands, wait until all seated before beginning, concentrate on manners and pleasant conversations at the table, take a taste of everything, pack up leftovers, throw away trash, and remain seated until everyone is finished and excused. After lunch, children help clean the tables and sweep the floor. 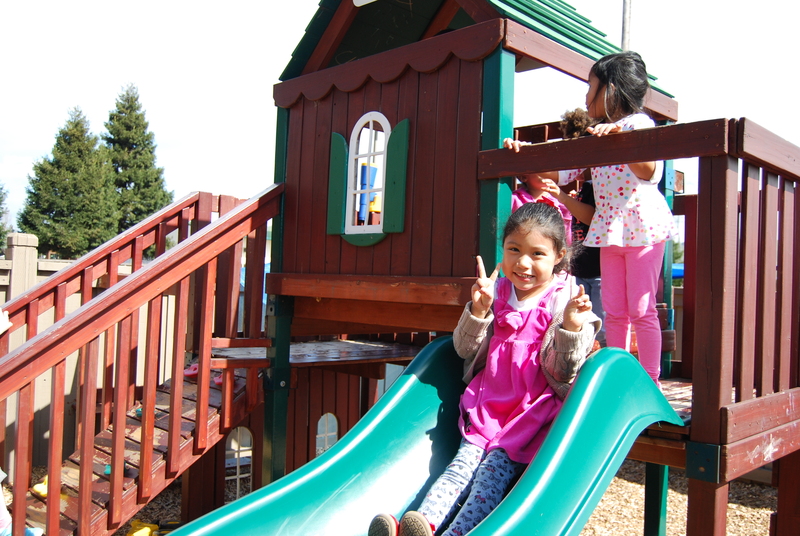 Once children are finished eating they can go outside (weather permitting) to play and enjoy outside activities. Children go to the bathroom, find their sleepy toy, lie down on a mat, and listen to a story. Then we turn off the light, play soft music, and rub children’s back to help them fall asleep. This process takes about 30 minutes. Children who are not yet 5 years old will rest quietly for at least 30 minutes, and then join the afternoon class ( if they do not sleep) to continue work begun in the morning. Children in this program spend their afternoon continuing to work on the lessons that were begun in the morning; they also have lesson in geography, science, art appreciation, writing and music. 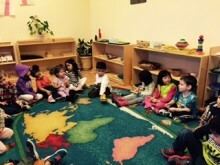 Activities include snack, outside play and art activities in the classroom. All children should be picked up by 5:30 PM. Late fees will be assessed after 5:30 PM.